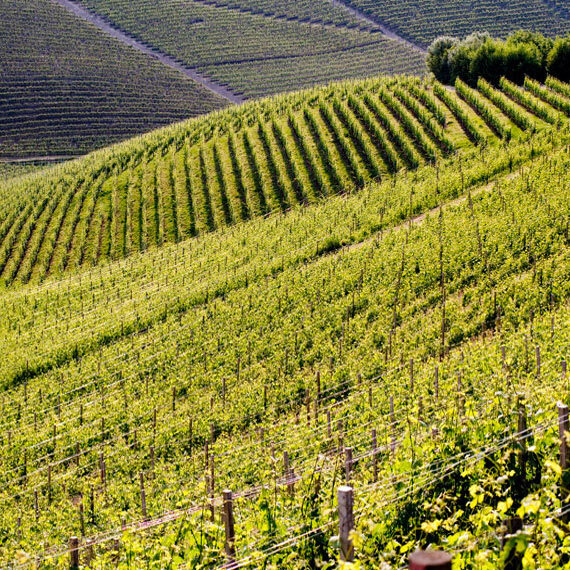 The vineyards of the Cavallotto family have three unique features: The 25 hectares of planted vines are a contiguous piece of land that encompasses the Bricco Boschis and Vignolo crus, they are all estate vineyards (the family owns 100% of the vineyards farmed) and the land is worked according to an integrated farming concept that includes the use of organic farming practices. 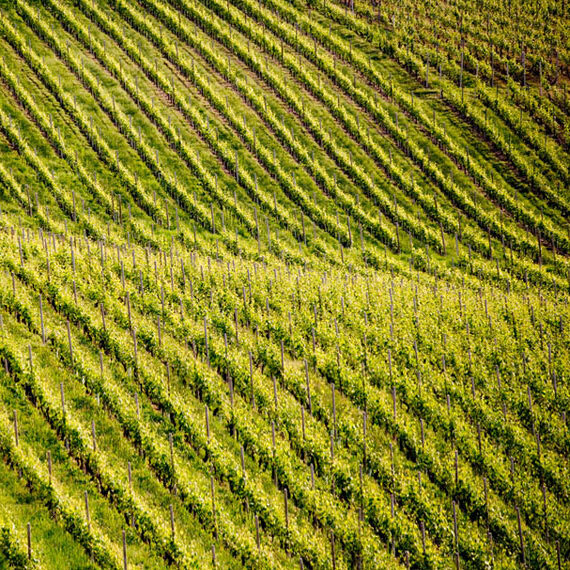 More than half the vineyard area (17 ha) is planted to Nebbiolo for Barolo that is harvested at an average of 38 hl/ha. 3ha are planted to Dolcetto, and 2ha to Barbera. The rest of the vineyard land is planted to a mix of Freisa, Pinot Noir, Chardonnay and Grignolino. Through the choice of producing and bottling wine under their own label exclusively from their own grapes since 1948 the Cavallotto family has created both a unique identity and a high level of quality in the Bricco Boschis brand, both of which have strengthened over time. All of our vines are pruned according to the classic Guyot Basso with low-hanging fruit cluster formation. The winter pruning leaves 8-10 buds for Nebbiolo and 5-7 for the other varieties. All plants are pruned with a spur for the succeeding year’s growth with 2 buds. Each hectare is planted to about 5000 vines, with native plants and grasses left to grow between the rows. The grasses are cut and mulched 2-4 times per year (with the area directly around each plant cut by hand), depending on the weather and climate conditions. Alfio and Giuseppe Cavallotto, both enologists, are deeply attentive to their vineyard practices, and all work is performed according to a fundamental respect for the land. For example, the native grasses that grow between the rows of vines form humus in the soil once mowed, and thus the soil is better able to absorb moisture and resist erosion caused by the rapid runoff of rainfall during thunderstorms. 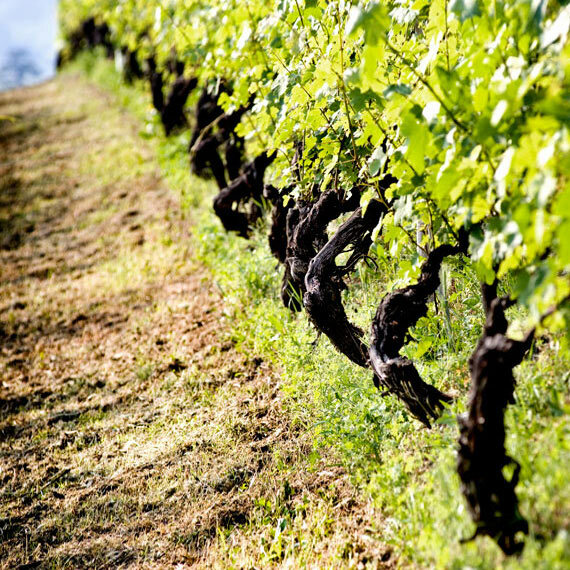 All seasonal labor in the vines is performed by hand. Climatically, the Lower Langhe region around Alba has hot and dry summers (average summer temperature is 26°C) with snowy, cold winters. The spring and autumn intervals are generally mild; the vines are well-adapted to the particular local climatic conditions.